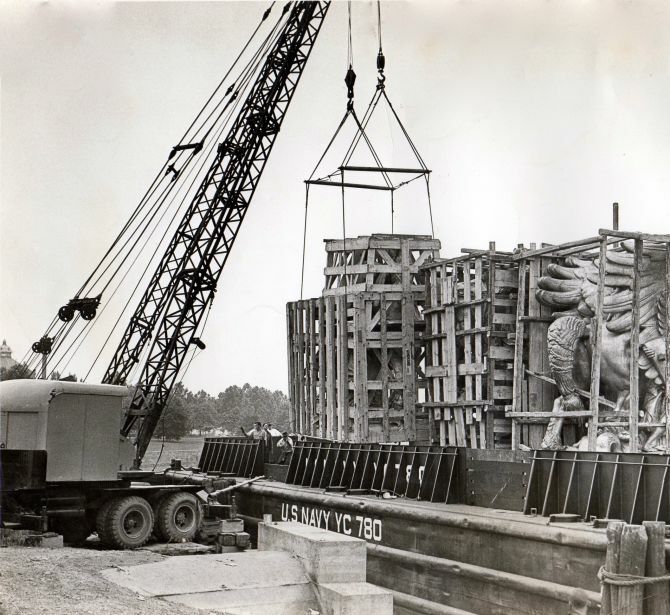 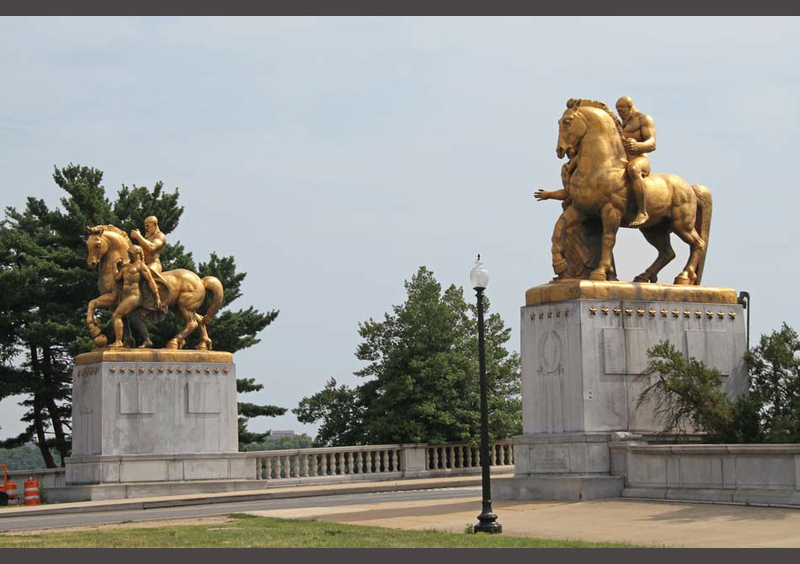 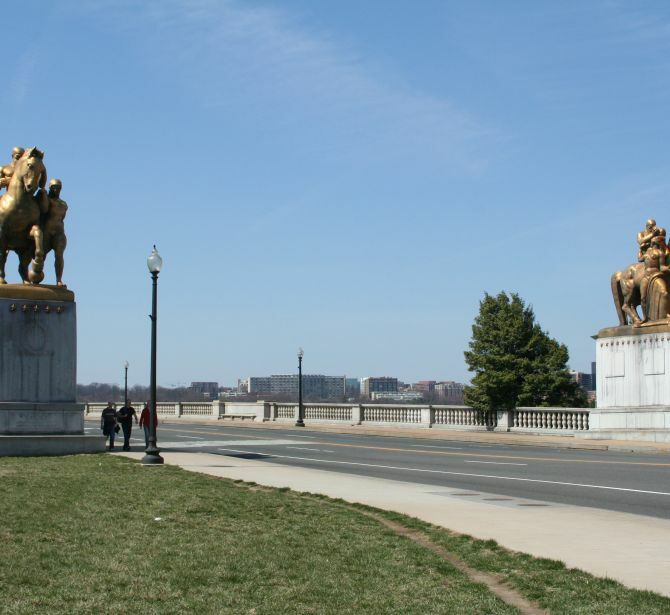 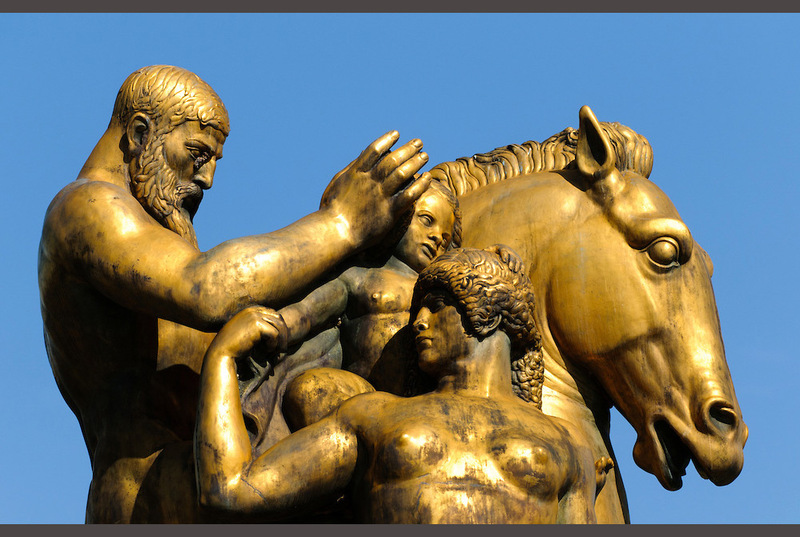 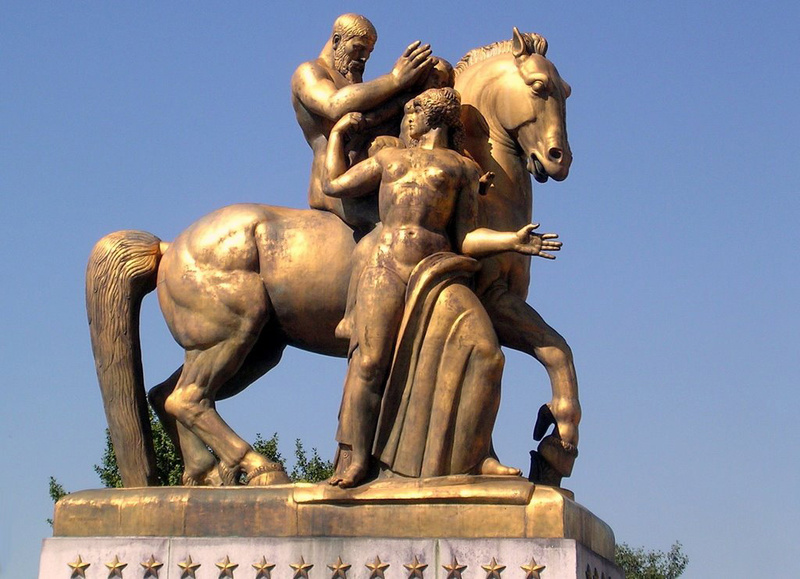 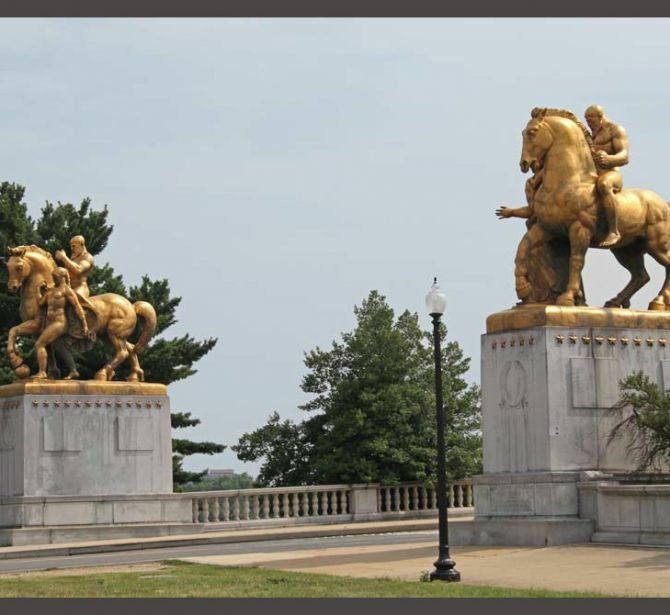 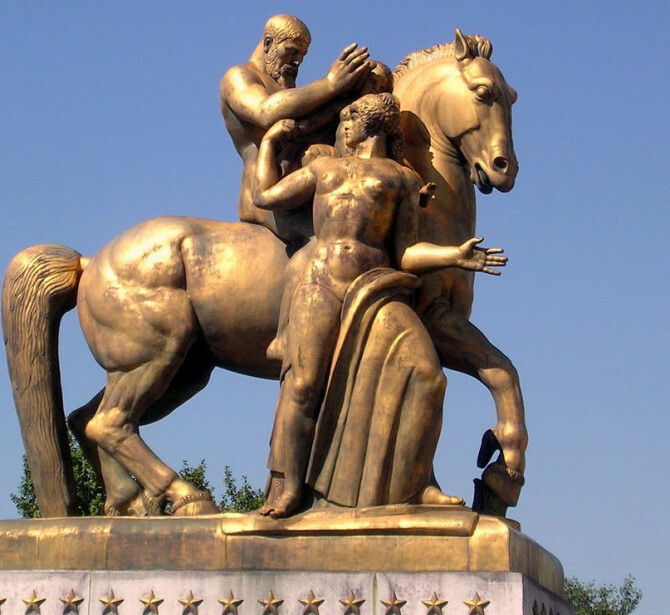 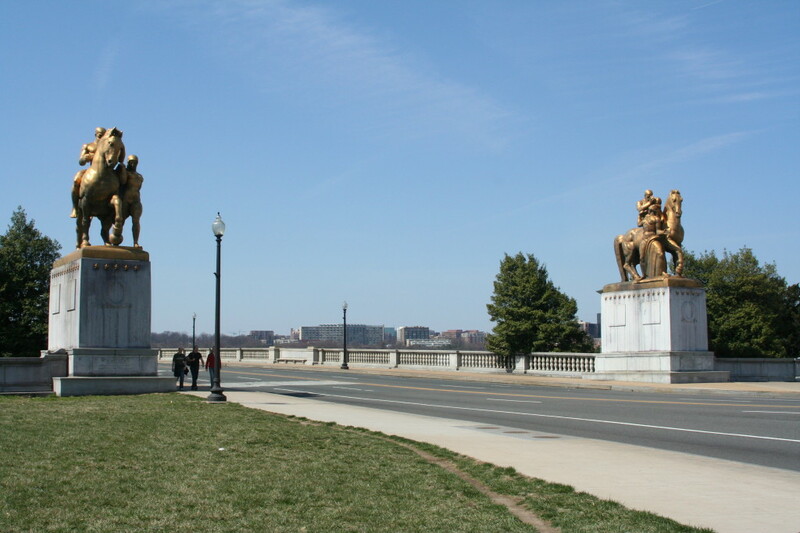 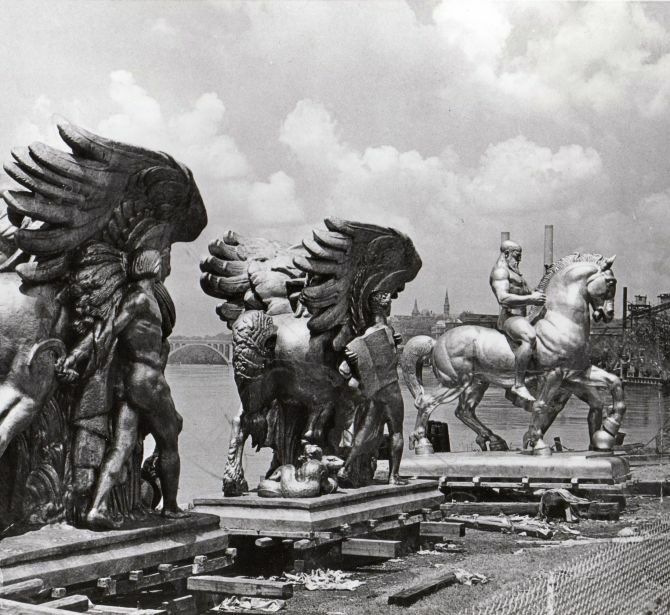 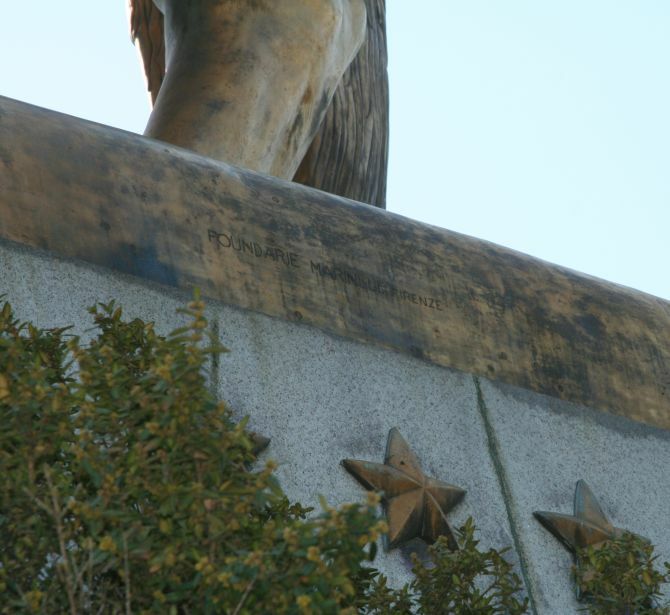 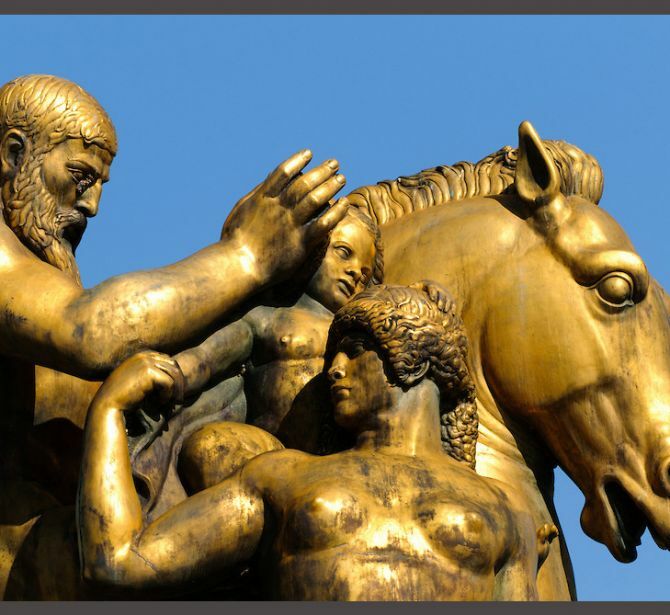 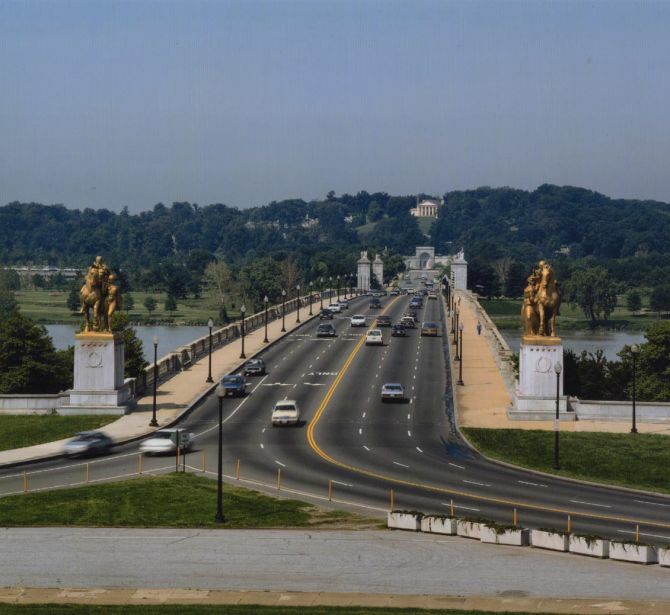 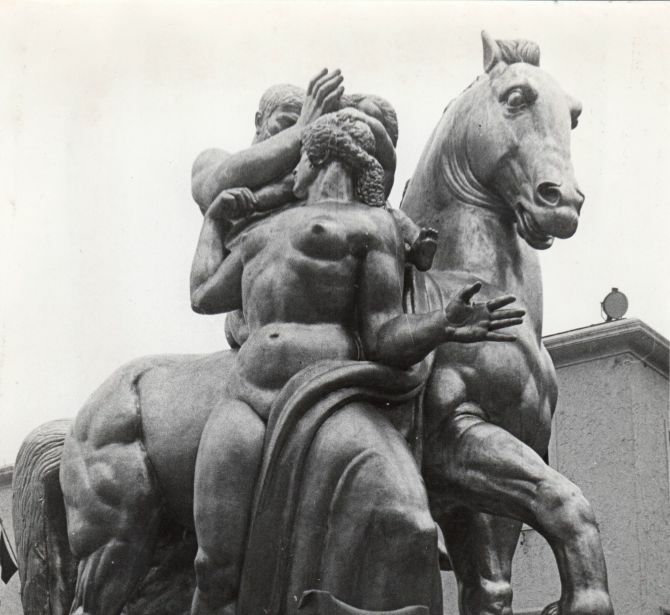 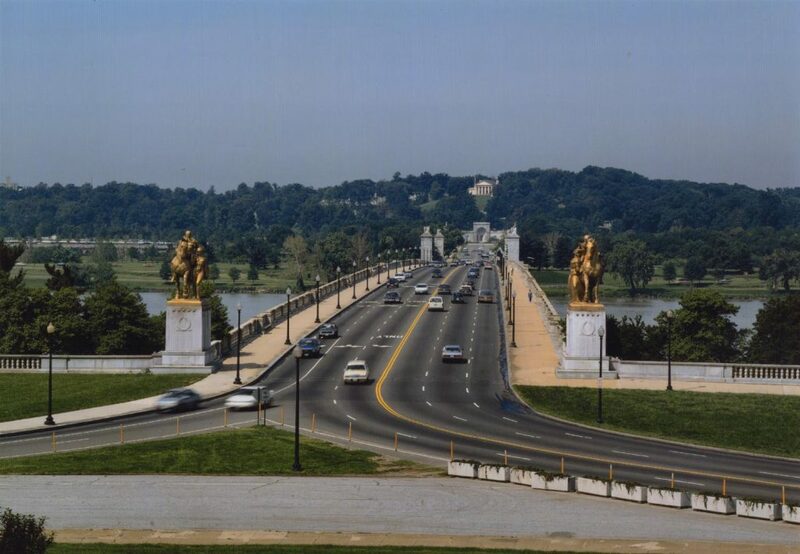 One of the four golden horses that dominate the Arlington Memorial Bridge in Washington by the New Yorker Leo Friedlander a sculptor who studied in Europe, donated in 1949 by the Italian Ambassador Alberto Tarchiani to the American people on behalf of the Italian Government. 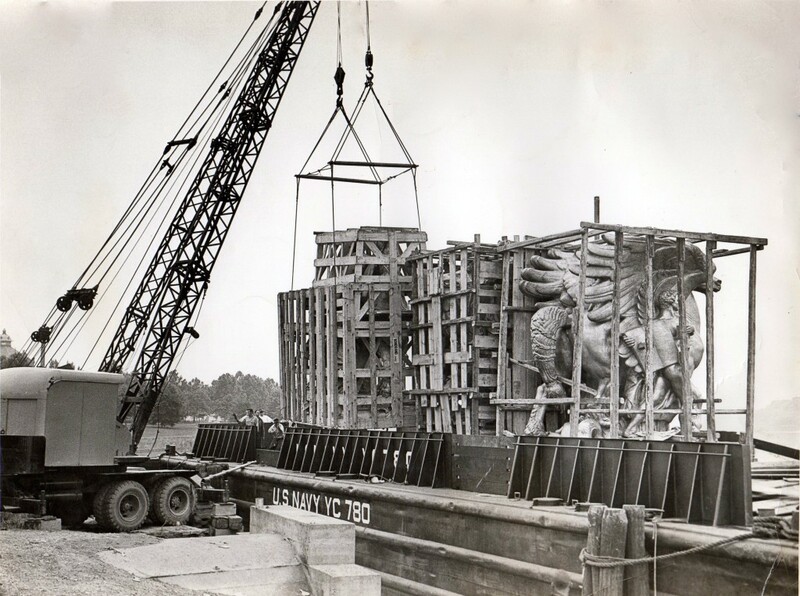 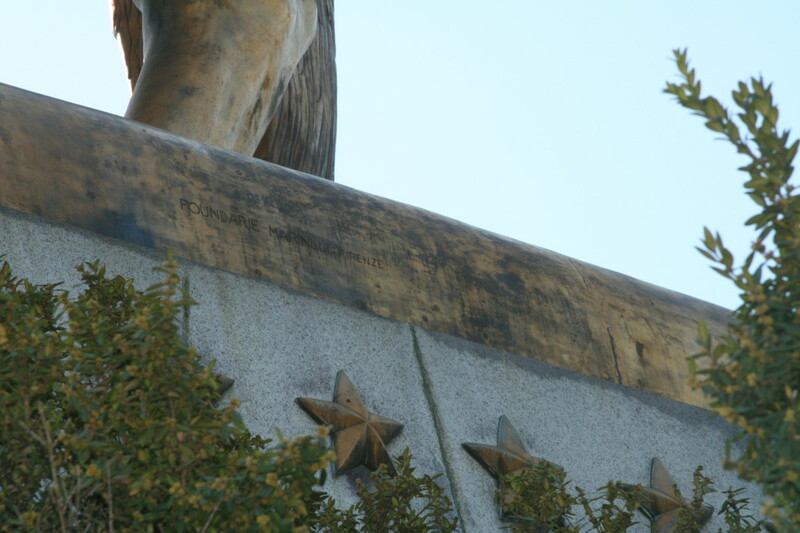 Conceived in 1929, the design for this colossal monument remained unused during the great depression. 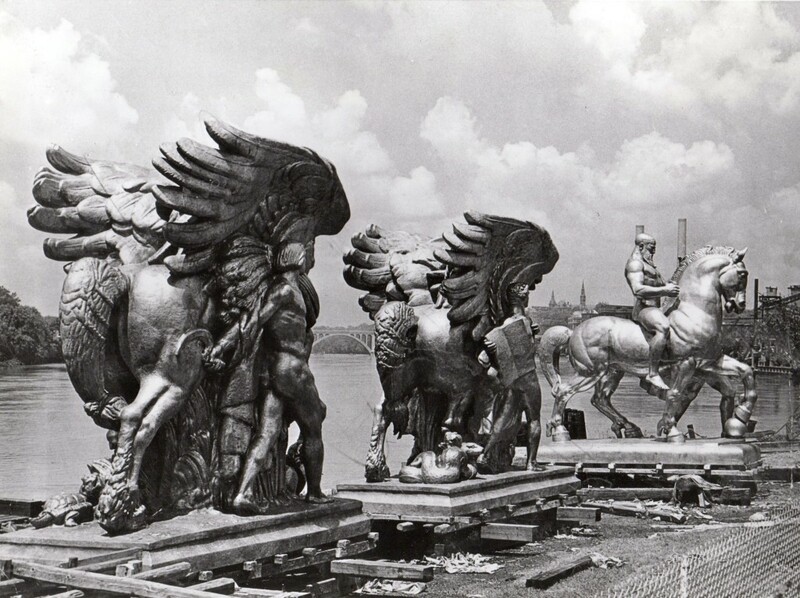 The project was revived in 1938 and completed only after the end of World War II. 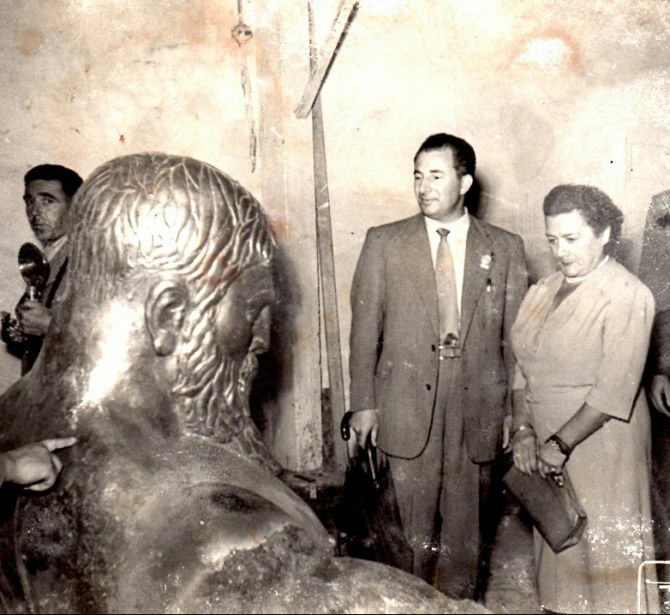 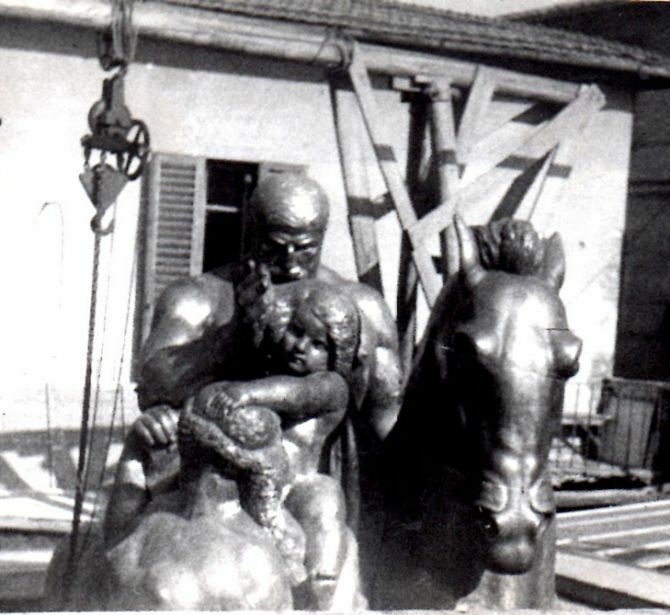 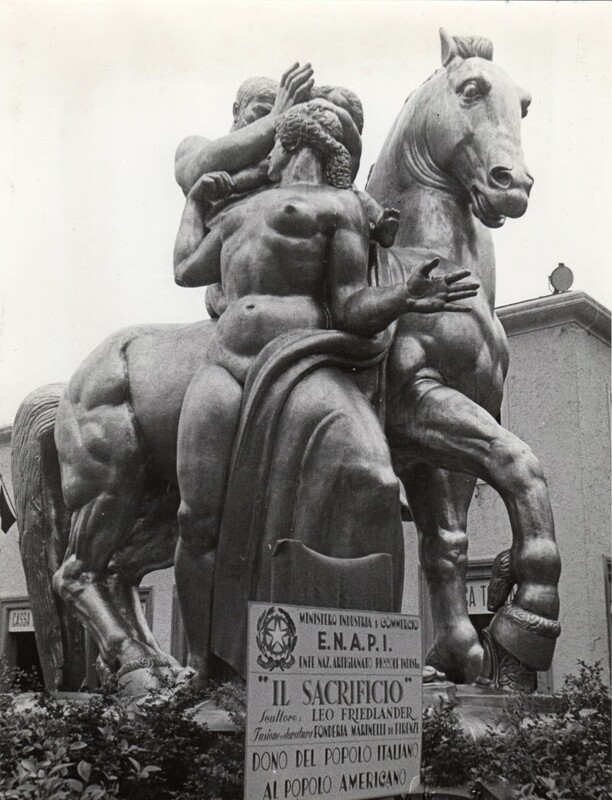 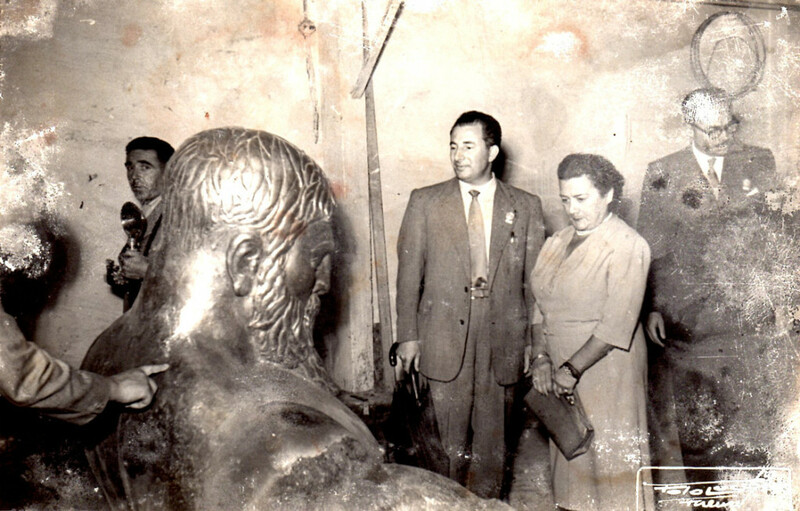 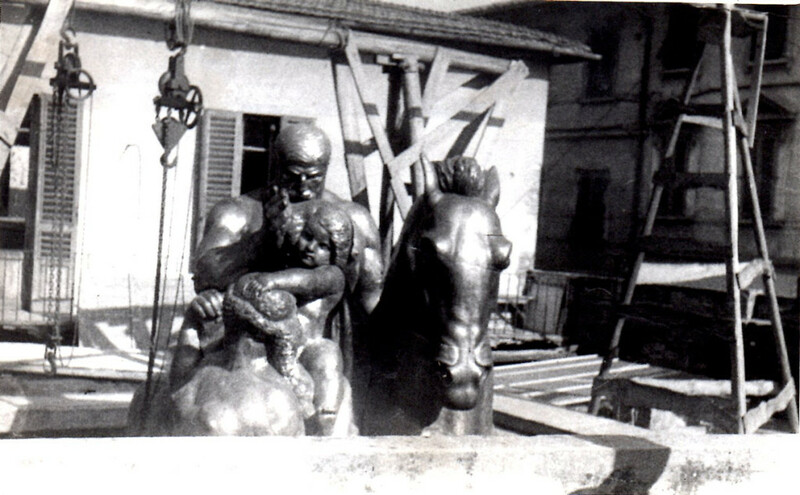 The quality of the cast earned the Fonderia Marinelli the ‘Diploma of Honor’ conferred by the Ministry of Industry and Commerce.